It’s Christmas time, so let’s go climb! 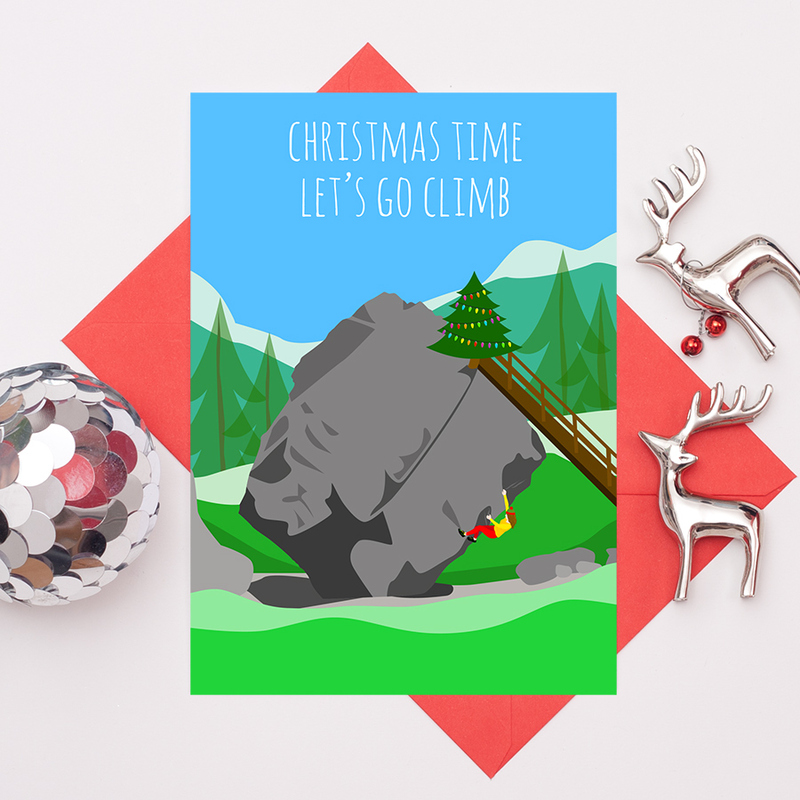 A brilliant Christmas card for anyone who loves rock climbing, bouldering or mountaineering. The design features the Bowder Stone, in the Lake District, Cumbria. The famous tree has been substituted for a Christmas tree! There is a choice of two phrases for this card; ‘Rockin’ around the Christmas tree’ or ‘Christmas time, Let’s go climb’. You can also have a boy or a girl boulderer, so please select the correct option. Be the first to review “Rock Climbing Christmas Card” Click here to cancel reply.